Macy was reluctantly surrendered by her family. They moved from Utah. Macy grew up with another dog (Golden Retriever I believe) and either during the move or after because stressed and started nipping her buddy. They decided it was best to rehome her. 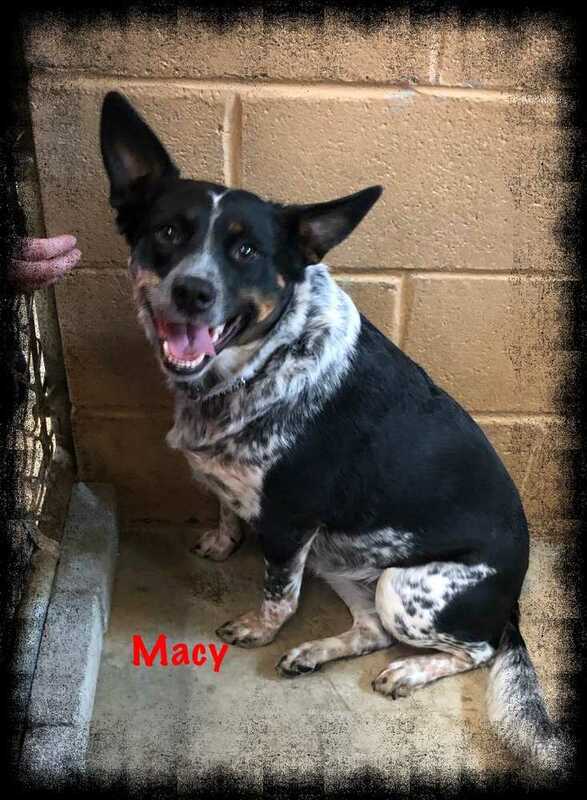 Macy is a GREAT dog and is just under 2 years of age. Blue Heelers need an active lifestyle and a family that matches that lifestyle. They would do great on a farm, with cattle ranchers, families who walk daily, take hikes - active lifestyles in general. Apartment life really isn’t the life for a Blue Heeler. An experienced owner is best or someone that has had dogs and understands the needs of a Blue Heeler. If bored they will create their own fun and we don’t want that do we! A great addition to the right family. She loves the outdoors.